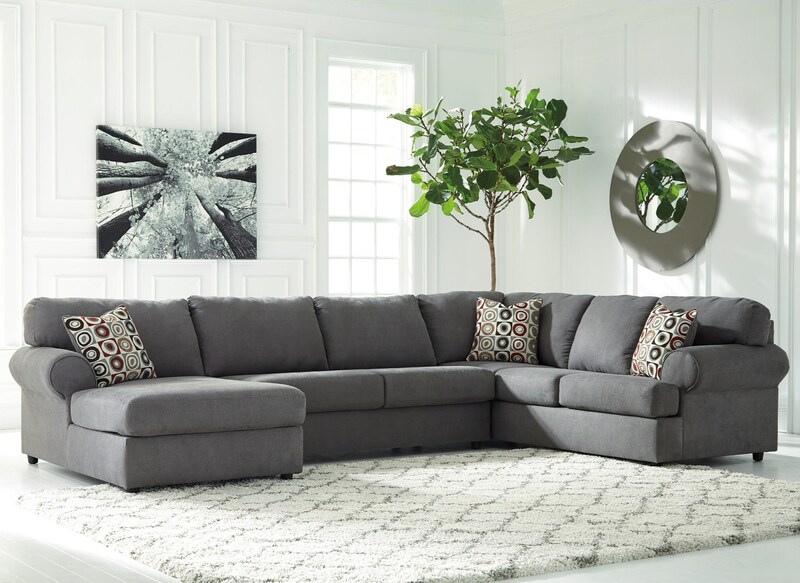 Large rolled arms offer an easy-going casual contemporary look to this spacious sectional. Stretch out in comfort on the chaise and relax. The Jayceon 3-Piece Sectional with Left Chaise by Signature Design by Ashley at Lindy's Furniture Company in the Hickory, Connelly Springs, Morganton, Lenoir area. Product availability may vary. Contact us for the most current availability on this product. Redo your living room with the inviting style of this sectional collection. Modular pieces are available to create the perfect sectional for your home's entertainment space. The Jayceon collection is a great option if you are looking for Contemporary furniture in the Hickory, Connelly Springs, Morganton, Lenoir area. Browse other items in the Jayceon collection from Lindy's Furniture Company in the Hickory, Connelly Springs, Morganton, Lenoir area.